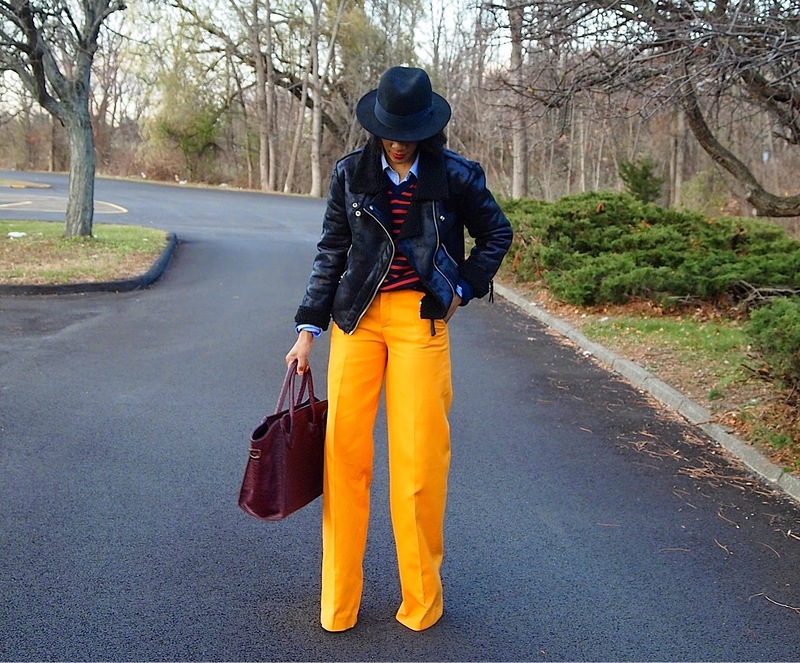 Wide leg trousers are a classic Closet staple. These stylish bottoms have the ability to elongate the frame of even the most vertically challenged fashionista while giving you a very flattering silhouette. Love the color of those trousers! !